Up to eight expansion I/O modules can be added as your automation grows or changes. Configuration software so simple, you'll be programming in minutes. Simulator functionality allows users to test their configurations without being connected to a controller. 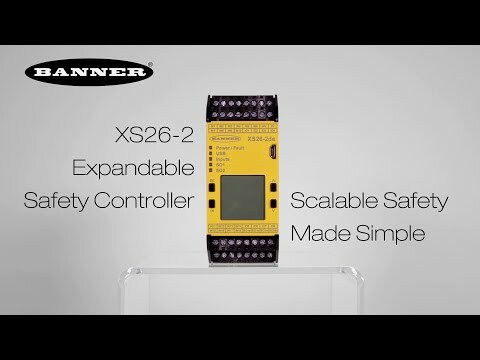 Choose from six expansion module models available to suit your application with a variety of safety inputs, solid-state safety outputs and safety relay outputs. 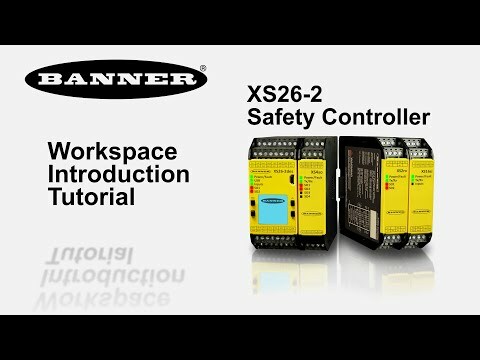 This video will take users on a tour of the SC26-2 programming environment. Watch this video to familiarize yourself with the different programming tools and interface. Learn about the XS26-2's and SC26-2's input and output selection options, as well as related parameter settings. Learn how to add devices, function blocks, and logic to complete your application. 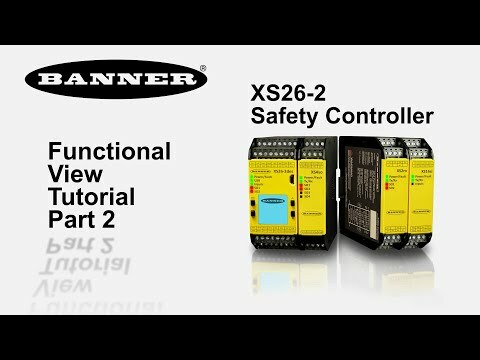 Learn how to tailor your parameter setting options to fit specific safety design requirements. 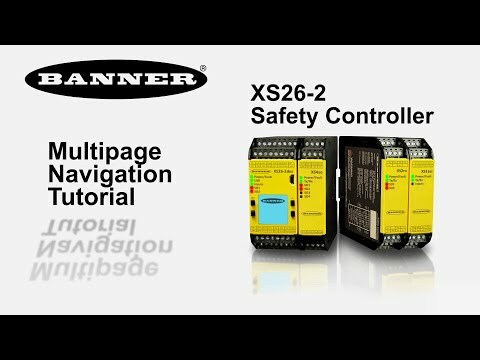 This tutorial will review multipage navigation, a helpful tool for growing safety I/O numbers and when using multiple safety zones and functions. In this tutorial, we will download a configuration to the safety controller and review the live mode display features. Complete information on performance, programming, troubleshooting, dimensions, and accessories. Configuration software so simple, you'll be programming in minutes. Simulator functionality allows users to test their configurations without being connected to a controller.